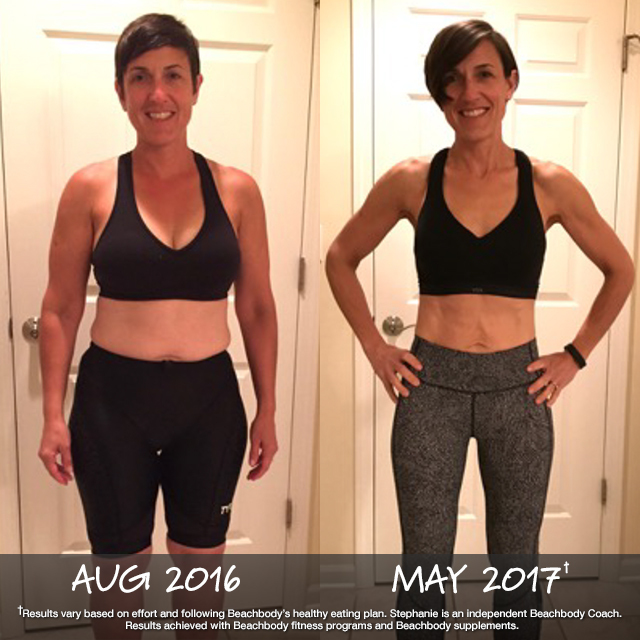 Over the last 20 months, Ashley has given 100% effort to Beachbody’s system of fitness, nutrition, and support. And, behold the results of her hard work! This busy, full-time working mom-of-three found time for fitness, and so can you! She lost 86 lbs. 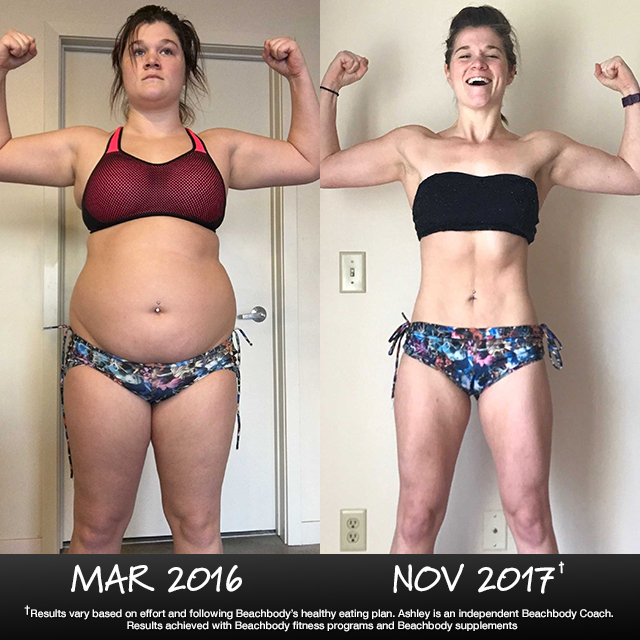 in under a year while working out at home with quick workouts on Beachbody On Demand, following the Portion Fix nutrition plan, and drinking Shakeology every day. 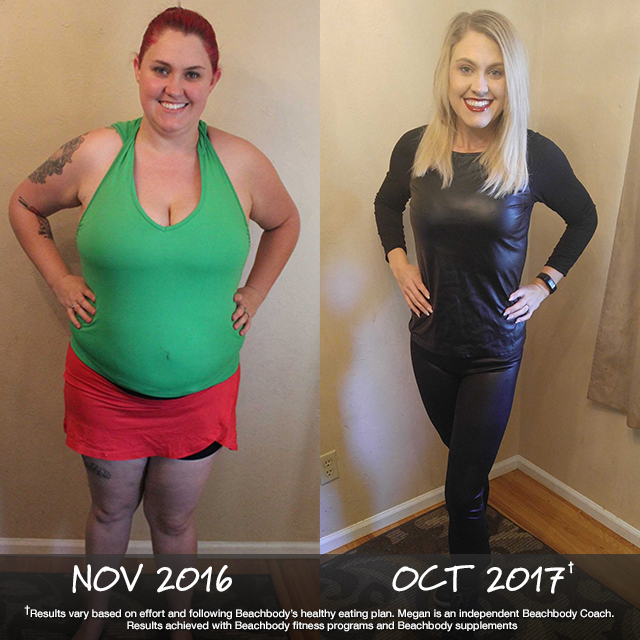 Stephanie Winterhalter Lost 31 Pounds and Kept it Off! 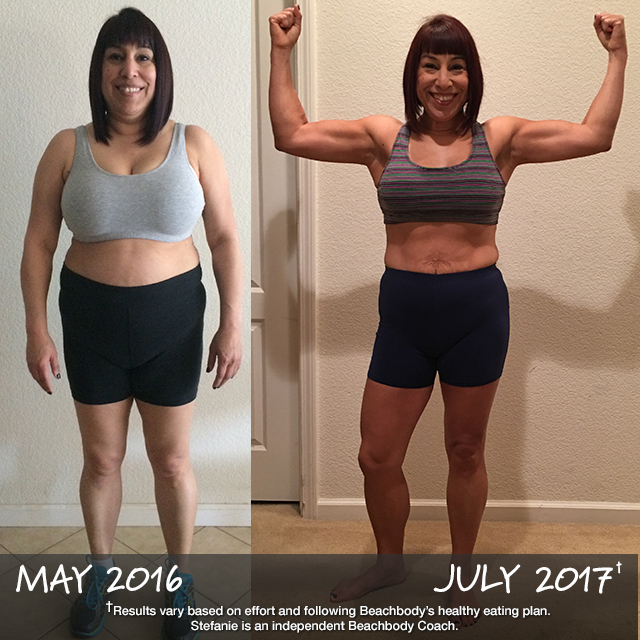 The winning combination of BOD + Portion Fix nutrition + Shakeology strikes again! For Stephanie, it helped her lose weight and tone up her arms, abs, and thighs. Now, at age 45, this working mom in the best shape of her life, and she’s keeping it that way. How do you get results like this? Really, it’s amazingly simple: get into a Challenge Group doing Beachbody On Demand + Shakeology. Commit to it, and stick to it. That’s it! That’s how Stefanie (age 50) lost 40 lbs. in 14 months. You can change your life, too. Take the Beachbody Challenge for the tools you need to Decide, Commit, and Succeed! Complete any Beachbody program, and enter your results for a free gift and a chance to win cash and prizes. Ready to pick a program and get started?